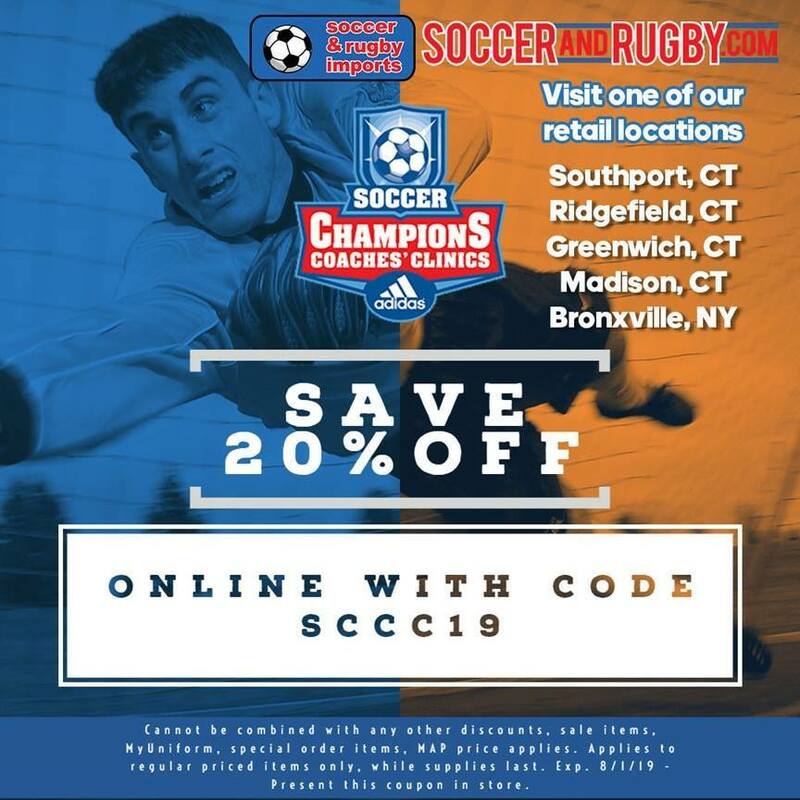 Leading Soccer and Rugby Sporting Attire and Accessory Supplier was an Official Vendor at the 2019 Soccer Champions Coaches' Clinic in Uncasville, CT.
UNCASVILLE, Conn., March 25, 2019	(Newswire.com) - Soccer and Rugby Imports--a sporting equipment and attire supplier based out of New York and Connecticut--partnered with the Soccer Champions Coaches’ Clinic as their 2019 registered exhibitors. At this successful clinic, the team at Soccer and Rugby Imports featured their new Exhibit Pack, sponsored by Adidas. 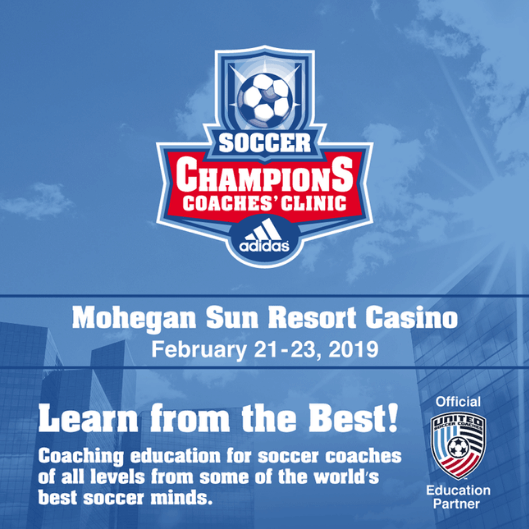 The 2019 Soccer Champions Coaches’ Clinic took place at the Mohegan Sun Resort & Casino on February 21-23, 2019. Sponsored by Adidas, this year’s Soccer Champions Coaches’ Clinic hosted soccer coaches from all over to take part in world-class coaching instruction, on-field demos, and topic break-out sessions. This event offered hands-on activities where attendees could improve their soccer skills and discuss important topics within the industry with some of the top clinicians and leaders. 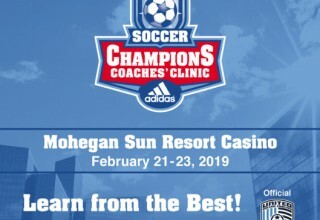 The 2019 Soccer Champions Coaches’ Clinic served as a world-class coaching education curriculum where soccer aficionados could meet and network with top exhibitors. Featured presenters at this year’s clinic included Sasho Cirovski, two-time National Champion Men’s Coach at the University of Maryland; Erica Dambach, National Champion Penn State Women’s Coach; Schellas Hyndman, past MLS Dallas FC & SMU Head Coach; and more. For information on the Champions Coaches’ Clinic, visit http://soccerchampionsclinic.com/site/. 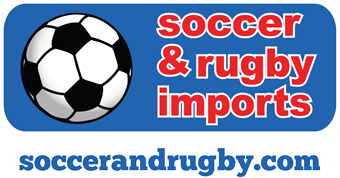 For more information on Soccer and Rugby Imports and to browse their inventory on soccer and rugby gear, equipment and apparel, please visit http://www.soccerandrugby.com/. 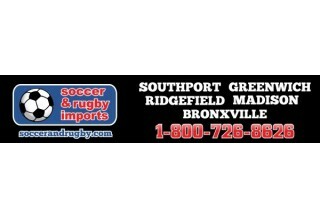 Soccer and Rugby Imports was established in 1993, beginning its first seven years in a small retail strip in Westport, Conn. Since the year 2000, the Avalos family took over the business and quickly began to outgrow its modest Westport location. In 2004, as the popularity of soccer in the area increased, as well as the reach of the business, the store moved to nearby Southport, Conn. Four more locations have opened in the subsequent years: Ridgefield, Conn., Greenwich, Conn., Madison, Conn., and Bronxville, N.Y. Soccer and Rugby Imports has been supplying Connecticut's soccer clubs and organizations across the country and abroad for the past 20 years. One of the top online providers of Soccer Club Jerseys, Soccer Cleats and Soccer Equipment, Soccer and Rugby also offer services at their retail shop for customized jerseys, shorts, warm-ups, and backpacks from the Team Sales department. Thousands of people have been linked to Soccer and Rugby Imports, from custom soccer gear to discounted soccer equipment that Soccer and Rugby provide for athletes on a budget. Soccer and Rugby Imports also carries exclusive gear. 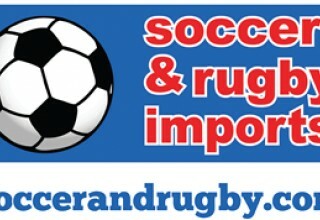 For more information, please visit http://www.soccerandrugby.com/ or call 1-800-726-8626.